Lager fans hold on to your glasses because new evidence suggests lager yeast is a genetic mutation of Saccharomyces cerevisiae and a wild yeast called Saccharomyces eubayanus. Yep those clean crisp clear lagers are the result of a wild yeast joining the party. 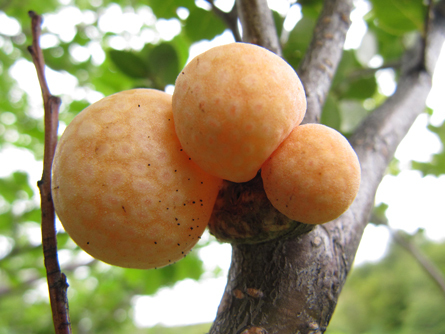 This wild yeast is found to live on the outgrowth (galls) of the southern beech tree. The big question is how did those little wild yeasts travel all the way to Bavaria? Galls are growths resulting from a fungal infection they grow on southern beech trees in Northern Patagonia (Argentina area).